Or, let sleeping Alligators lie. What a surprisingly peaceful scene with the sleepy alligator.. and the swamp sunflowers and green weed make a great combo in the photo! 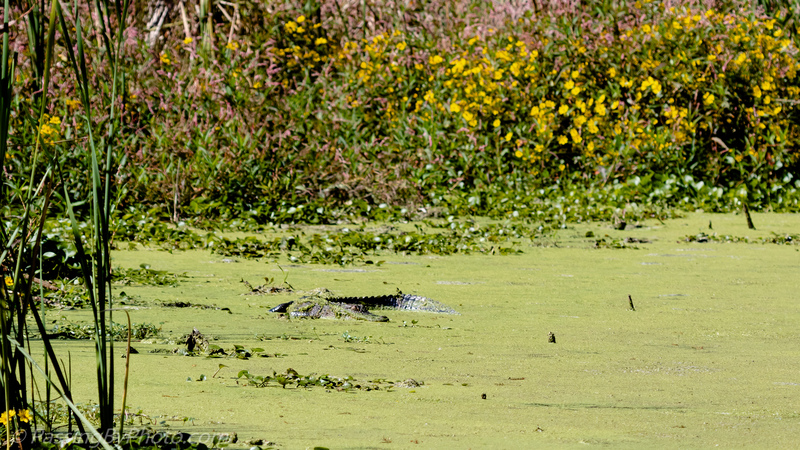 This alligator really took advantage of a beautiful corner of the swamp, Liz. Thanks! I love the colour and the star player! Thanks, Belinda. He sure picked a pretty spot to sunbathe! 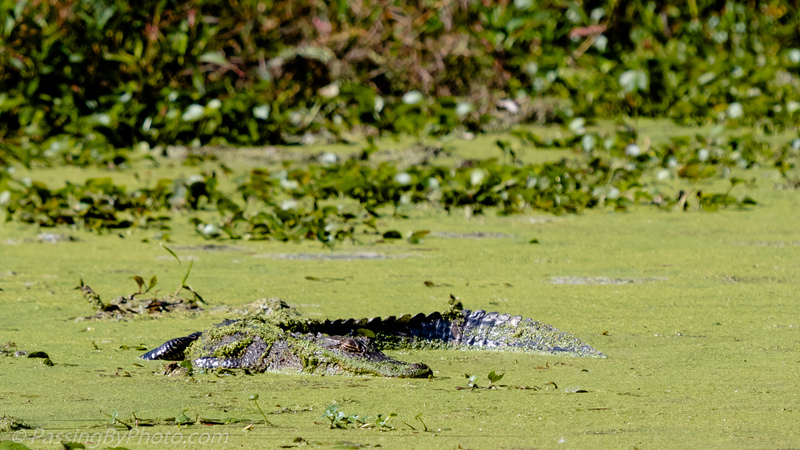 I’ve seen alligators in SC and at Myakka State Park in Florida. They are scary critters, and I’m thankful we don’t have them in Ohio. Thanks for sharing yours, so I don’t have to worry about them. I came here from New England three years ago with no Alligator experience. My motto is keep an eye out and respect their space. That’s great advice, Ellen, and I will remember it!